2019 CPR CLASSES ARE NOW AVAILABLE! SIGN UP TODAY! *** IMPORTANT NOTE: For 2019, Shady Grove Adventist has partnered with Lifeworks in offering the monthly CPR classes to MCRRC. The location and time are different from previous years. Please read this page in it’s entirety before registering for a class to be sure you understand the changes & our policies. Thank you! Once per month on Saturdays, MCRRC offers a CPR/ First Aid certification course through Lifeworks, sponsored by Shady Grove Adventist HealthCare, for members & member’s immediate family members. The class is sufficient for new certifications as well as re-certifications. This class is free for all active MCRRC Program Coaches and Race Directors. The class is $50 for any other MCRRC member/ immediate family member (please see information on registering below). CPR classes are held at 14915 Broschart Road (“around the corner” from Shady Grove Adventist Hospital), Rockville, MD in the Ladew Conference Room on the 1st Floor. The classes will be from 9 AM TO 4:30 PM with a half hour break for lunch at 1:00 PM. You will receive instructions by e-mail. Please note they will not be sent until the Friday before the class, likely in the afternoon. There will be a half hour break for lunch at 1:00 PM. Please bring a bagged lunch. Refreshments will NOT be provided, so please be sure to pack anything you will need for the day. Everyone must register & pay in advance for the class via our online signup form. The cost of the class is $50 + online service fees. 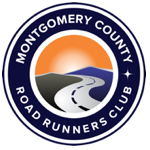 IF YOU ARE AN MCRRC COACH OR RACE DIRECTOR, you are eligible for reimbursement. Upon completion of the class, you may submit an expense report to office@mcrrc.org. PLEASE NOTE: MCRRC will reimburse the $50 of the cost of the class only. We are unable to reimburse for online processing fees. Please allow up to three (3) weeks for processing. Download the expense voucher form here. Registration is available online ONLY. REGISTER HERE. Each class is limited to 8 participants. If you are unable to register, the class you are selecting is already full. We are unfortunately unable to accept a higher number of participants per class. All MCRRC program directors and pace/ group coaches are required to be CPR AND First Aid certified in order to participate as a coach. The MCRRC Program policy regarding coaching requirements can be found here. If a class is cancelled by Lifeworks, we will do our very best to notify you in a timely manner. At that time, we will be happy to assist you with rescheduling to another class. Likewise, if you are unable to make it to the class you signed up for, we must receive notice by 5 PM on Thursday to racesupport@mcrrc.org with a CC to office@mcrrc.org – again, we will be happy to assist you with rescheduling to another class. If you are a “no show” on class day, we are unable to refund your registration fee & you will be responsible for paying a new registration fee should you want to schedule another class. Sorry, but there are no exceptions. Thank you for your cooperation. Please contact Halsey at racesupport@mcrrc.org.